[A] pastiche is a serious and sincere imitation in the exact manner of the original author. We have been using the word "pastiche" for decades, at least since Ellery Queen's The Misadventures of Sherlock Holmes, a collection of such stories, was published in 1944. 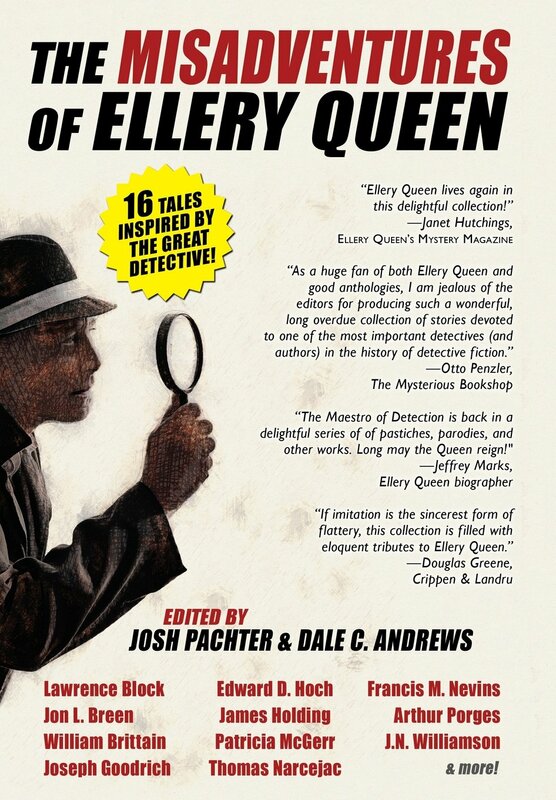 This week (I am happy to announce) marks the culmination of a project that has kept me fairly busy for a good bit of the last year -- the publication of The Misadventures of Ellery Queen, co-edited by Josh Pachter and me, Dale Andrews. The anthology collects, for the first time, 16 stories, written over the course of some 70 years. The stories are “misadventures,” that is, pastiches, parodies and other homages, all inspired by author/detective Ellery Queen. For Josh and me putting together this collection has been a work of love. And it has also been a project that has been, well . . a long time coming. Many of you may remember from previous SleuthSayer articles that Ellery occupies a particularly warm spot in my writing heart. Over the years I’ve written three Ellery Queen pastiches that have graced the pages of Ellery Queen Mystery Magazine, and I’ve written numerous articles on Ellery and his exploits that have appeared on SleuthSayers. While some of the backstory to The Misadventures of Ellery Queen predates SleuthSayers, the recent story of how the collection came into being can be traced through various footprints throughout the history of this website. It was only natural that a fan of Ellery Queen who has also written new Ellery Queen adventures (that would be me!) would reasonably be expected to ponder why the stories not originally drafted by Frederic Dannay and Manfred B. Lee but nonetheless featuring their detective creation Ellery have not been previously collected. EQ pastiches and parodies are not as numerous as those featuring Sherlock Holmes, but nevertheless many have popped up with some regularity since at least 1947, when Thomas Narcejac wrote (in French) Le Mystere de ballons rouge featuring Ellery, and the inspector. 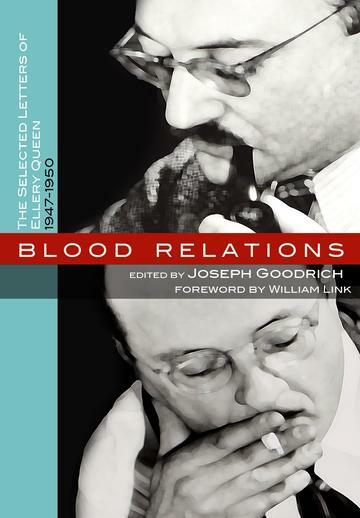 Since then Jon L. Breen, Francis Nevins, Edward D. Hoch and a host of others, both famous and lesser known, have also contributed Ellery Queen stories. So wouldn’t an Ellery Queen “misadventures” anthology make some sense? That was precisely the question I pondered in one of my earliest SleuthSayers articles, “Fair Play Mysteries and the Land of the Rising Sun,” which posted on October 25, 2011. At the time the article was written I had just received a request to allow my first EQ pastiche, “The Book Case,” written in collaboration with my good friend Kurt Sercu, proprietor of Ellery Queen -- A Website on Deduction, to appear in exactly such an anthology. That volume, also entitled The Misadventures of Ellery Queen was published in 2012. But, as that earlier SleuthSayers post explains, the book, edited by Iiki Yusan, who also heads up the Ellery Queen Fan Club in Japan, was intended for the Japanese market and the stories it collects have been translated into Japanese. All of this is explained (and lamented) in that earlier article. Even back then, as I indicated in a response to a comment, I was ruminating over the possibility of an English language Misadventures anthology. From 2012 on my author’s copy of the Japanese Misadventures just sat there on my own book case -- staring at me accusingly as nothing happened and the years slipped by. Since I don’t read Japanese about the only thing I could meaningfully ponder in Iiki Yusan’s Misadventures was the list of contributing authors, which appeared in English at the back of the book. The list included the likes of Francis Nevins, Jon Breen, Ed Hoch, and even me. Also a guy named Josh Pachter. Josh Pachter? Back in 2011 when I wrote that first SleuthSayers column the name meant nothing to me. Josh, it turned out, has written many mystery stories during a career of almost fifty years -- including several homages featuring a character by the name of E.Q. Griffen. 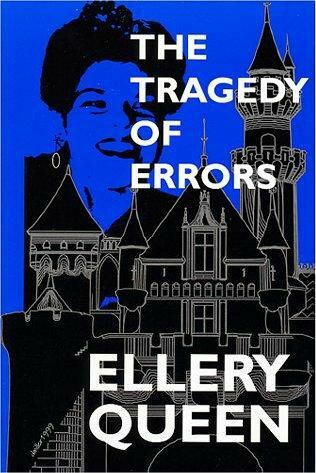 The reason I was unfamiliar with these stories is the same reason that I had concluded that we needed a collection of Ellery’s misadventures -- Josh’s Ellery Queen homages were nearly impossible to find. Like almost all EQ pastiches, parodies and homages they were published originally in issues of Ellery Queen Mystery Magazine, and that had occurred many years ago. As a practical matter those magazine issues were unavailable to the vast majority of the reading public. But even given this, I began to hear more and more about Josh, including the fact that he lived not all that far away from me, outside of Washington, D.C. in the Virginia suburbs. So let's skip a few years and eventually alight in yet another SleuthSayers article. In the summer of 2015 I received an email from my friend Francis (Mike) Nevins informing me that he would be traveling through Washington, D.C. that September. I immediately offered up our guest room, and Mike accepted. Mike Nevins, as many of you will know, is an emeritus professor at St. Louis University Law School, a preeminent Ellery Queen scholar and the author of many short stories and books, including two seminal biographical works chronicling the lives and works of the two cousins who were Ellery Queen -- Fred Dannay and Manfred B. Lee: Royal Bloodline: Ellery Queen, Author and Detective (1974) and the more recent Ellery Queen: The Art of Detection (2013). Mike’s 2013 book was, in fact, reviewed by me right here on SleuthSayers in January of 2013. When Mike accepted my invitation by return email he told me that he would really like to get together with an old friend during his D.C. stay. Another author. Named Josh Pachter. As I said, by then I knew who Josh was. Mike and I contacted Josh by email and dinner was scheduled for a September evening in the backyard of my home. The dinner (you guessed it) was the subject of my SleuthSayers article of September 27, 2015. Josh, Mike and me in the backyard. As we chatted that evening it turned out that I was not the only one who had contemplated a collection of Ellery Queen misadventures. Josh’s first EQMM story -- that E.Q. Griffen homage -- was published in EQMM when he was just 16 years old, at a time when Frederic Dannay was still editor-in-chief of the magazine. Josh had thereafter become close friends with Dannay and had even broached the possibility of exactly such a volume with him. But nothing came of it. It didn’t take long for the gears to begin to mesh. Maybe each of us thought. Just maybe working together we could actually do this. And, to make a longer story short, we did! The Misadventures of Ellery Queen, which we compiled over the course of almost a year, has one story by each of us -- “The Book Case” for me; “E.Q. Griffen Earns his Name” for Josh. The other 14 stories are by other authors. We had a lot of stories to choose from, and the final volume differs in many respects from the Japanese Misadventures anthology. Our book includes the first ever English translation of that 1947 Thomas Narcejac pastiche “The Mystery of the Red Balloons,” as well as Mike Nevin’s “Open Letter to Survivors.” Readers will also find Jon Breen’s pastiche “The Gilbert and Sullivan Clue,” and a particularly sneaky pastiche by Ed Hoch, which spent most of its literary life masquerading as an Ellery Queen-authored story . There are stories by Lawrence Block. William Brittain, James Holding and others. And the book also includes what is probably the most recent Queen homage (a sort of pastiche with it’s own twist) Edgar winner Joe Goodrich’s “The Ten-Cent Murder.” All of those, and quite a few others by authors famous and authors obscure share one thing in comon -- each was inspired by Ellery. Josh and I are particularly pleased with the final product shaped by our publisher, Wildside Press, which has made the collection available in hard cover, trade paperback, and Kindle editions. Picture courtesy of "Ellery Queen -- A website on Deduction"
Choosing the stories, writing introductions, and otherwise putting this volume together has been a joy for Josh and me for many reasons. Perhaps the greatest joy is mirrored in an observation by Janet Hutchings, editor of EQMM. 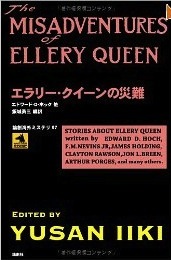 In these Misadventures, she has written, “Ellery Queen lives again.” That's what we were hoping for. 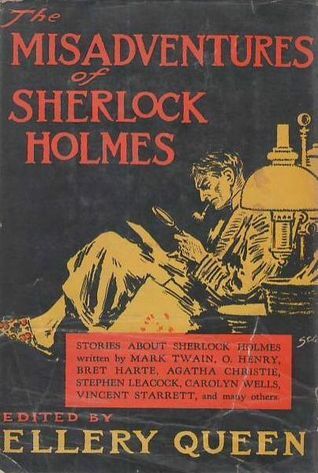 Dannay and Lee, writing as Ellery Queen observed in their introduction to that 1944 Sherlock Holmes Misadventure anthology that pastiches and parodies are "the next best thing to new stories." And that was always what we wanted most to accomplish -- bringing some of the many adventures of Ellery Queen written by authors other than Dannay and Lee together in one volume. We hope that readers will enjoy diving into these alternative adventures as much as we have enjoyed collecting them. One final note -- in addition to availability on-line, The Misadventures of Ellery Queen will also be on sale at the Malice Domestic convention at the end of April. And Josh and I will both be there. Just in case anyone might want . . . uhh . . . a signed copy? It only seems proper on Easter Sunday for SleuthSayers to focus on Ellery Queen. What? Some of you may ask. After all, the Queen mysteries were written by Frederic Dannay and Manfred B. Lee, who were born Daniel Nathan and Manford Lepofsky, respectively. Francis M. Nevins in Royal Bloodlines describes the two as follows: “Both were born in 1905, nine months and five blocks apart, of immigrant Jewish stock in a crowded Brooklyn tenement district.” So -- how do you get from there to Easter? Well, while the basis for this remains an unsolved mystery, the holiday Easter is repeatedly referenced throughout the works of Queen. Those references, often hidden, could easily provide the basis for an Easter article. Unfortunately for me, that is an article that I have already written. Anyone wanting to re-visit (or visit) that previous discussion of Ellery Queen’s hidden (and mysterious) “Easter eggs” can do so by clicking here. My re-visit to the Queen library this Easter is a bit more attenuated. Easter is a holiday premised on faith and belief; acceptance of that which we might otherwise deem to be impossible. Faith is an oft analyzed foundation of religious belief. But it is there that mystery fiction and religion part ways. By and large mystery readers take little on “faith." Instead, mystery fiction requires a well-grounded basis for “belief” premised on demonstrable logic in order to explain the otherwise inexplicable and thereby keep the reader in tow. Suspension of disbelief, or willing suspension of disbelief, is a term coined in 1817 by the poet and aesthetic philosopher Samuel Taylor Coleridge, who suggested that if a writer could infuse a "human interest and a semblance of truth" into a fantastic tale, the reader would suspend judgement concerning the implausibility of the narrative. The trick to the tool, as the above quote suggests, is that “semblance of truth” requirement. The reader has to be given just enough to go along with the plot device that otherwise presents as implausible. And as the quote from Roger Ebert at top of this article also suggests, if that semblance of truth proves insufficient to tempt the reader down the author’s intended path, well, the suspension cable snaps, risking the loss of the reader. And that brings us back to Ellery Queen and a particular mystery where, at least for me, that cable has never been sufficient to withstand the load the authors demand of it. My reference is to the 1954 mystery The Glass Village. In over fifty years of reading Queen The Glass Village has always been my personal stumbling block. Recently I confronted The Glass Village again and, after previous failed attempts this time I finished the novel. But not without some grumblings. Before getting to all of that, a little background is in order. The upshot of this approach was that I read the Queen library as I acquired it, which is to say out of order. I skipped from The Siamese Twin Mystery to Double, Double, and then proceeded to The Player on the Other Side before going back to Calamity Town. It was years before I reached Cat of Many Tails. It occurred to me lately, however, that it would be interesting to re-read these works, particularly those written in the 1940s and 1950s, in the order that they were published. I set this course so that I could more clearly follow the nuanced changes in Dannay and Lee’s writing, and in Ellery’s character, particularly his humanization as he coped with his own mistakes in the early Wrightsville stories, confronted those human foibles in Cat of Many Tails, and then moved on through other works, ending with 1958’s The Finishing Stroke, once intended as the last Queen mystery. In the midst of this span, is The Glass Village, published in 1954. The Glass Village is a rarity among Queen mysteries. While there are many novels that profess to be “written” by Ellery Queen that do not feature Ellery and/or his father as essential characters, the vast majority of those books were not in fact written by Frederic Dannay and Manfred B. Lee. Rather they were the infamous works franchised out to other writers. The Dannay and Lee contributions to these decidedly inferior stories amounted to little more than some final editing. But there are two exceptions to this rule. And aside from the 1968 police procedural Cop Out, The Glass Village is the only novel written by Dannay and Lee as Ellery Queen that does not feature Ellery or the Inspector. As an aside, reportedly this almost was not the case. There is, some evidence that The Glass Village was originally intended as an Ellery Queen Wrightsville mystery that was then revised to remove Ellery and Wrightsville while the writing was already under way. (Indeed, the debut episode of The Further Adventures of Ellery Queen, broadcast on NBC on September 26, 1958, is based on The Glass Village and re-fashioned the story so that the detective-protagonist is, in fact, Ellery.) We can only speculate as to why Dannay and Lee decided on a different approach, but there are several possibilities. First, a key element of The Glass Village requires a finite and limited number of town residents, something that would not have been possible in the context of the larger community of Wrightsville. Second, Dannay and Lee frankly may have been uneasy concerning the descent into mob mentality that The Glass Village would have required of the residents of Wrightsville -- people Ellery often describes with admiration and affection. The story, after all, is an allegory to the McCarthy mania of the early 1950s, and Dannay and Lee may not have wanted the good citizens of Wrightsville to play the Mcarthy-ite roles required by the story. So there were many reasons that I could have opted to avoid The Glass Village when I revisited Queen, principally revolving around the lack of Ellery. But it seemed to me that would be a bit unfair. The book was widely heralded, when published, as a celebration of 25 years of mysteries authored by Ellery Queen. And even though it is not directly part of the “Ellery as detective” canon, the authors made certain that it did not stray too far. Shinn Corners, the locale for the novel, is geographically close to Wrightsville, the town Ellery frequents, and we know this from references in Ellery’s Wrightsville novels. There are other hints that also tie the mystery back to those in which Ellery is present, and the young detective protagonist in Glass Village is fashioned with several knowing winks to the avid Queen reader. That character, “Johnny Shinn,” approaches the mystery as would Ellery, sports a name with the same number of characters as “Ellery Queen,” and one character in the The Glass Village persists in mispronouncing that last name as “Sheen.” In light of all of this I could only conclude that Dannay and Lee intended that I should read the book. So I (finally) did. This brings us back to my problems with The Glass Village, which involve suspension of disbelief, how it works, and how sometimes it doesn’t. The Glass Village begins very well, and contains some excellent prose and believable characters, but to me it grinds to a halt mid-way when it asks of the reader a suspension of disbelief that simply cannot easily be delivered. Specifically, a major premise of the story is that in order to calm the near riotous citizenry of Shinn Corners it is decided that a trumped-up trial must be conducted. Over the years each time I have attempted to read The Glass Village it is at this point that I roll my eyes, sigh, and set the book aside as my suspension cable snaps. 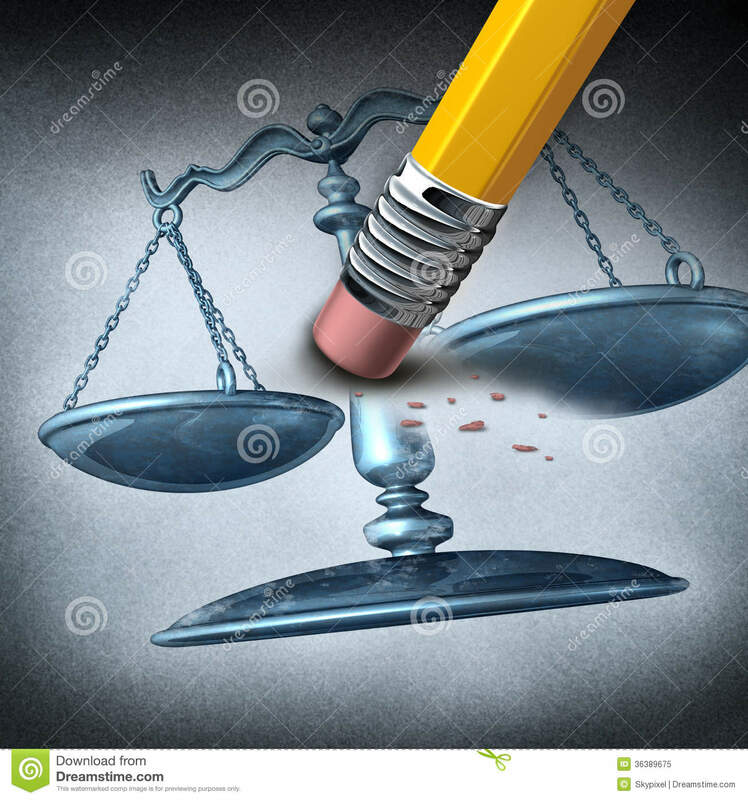 I admit that a lot of this may be because I am an attorney, and the utter silliness of the kangaroo court imagined by Dannay and Lee and then convened in Shinn Corners has a particular personal grate to it. But there are problems here regardless of the reader’s background, and those problems (I believe) are sufficient that any reader, when asked to suspend disbelief, predictably would reply oh, come now! For the “kangaroo trial” that is at the heart of The Glass Village to work the reader must accept the novel’s premise that the small town of Shinn Corners is so geographically remote from the rest of the world that, over a course of days, no higher authority could or would enter the town to rescue a prisoner threatened by an enraged town bent on mob vigilantism, and further that no higher judicial or legal authority would intervene to stop a trial so strangely assembled that jurors also serve, at times, as witnesses during the proceeding. Indeed, the story requires us to believe that governmental authorities outside of Shinn Corners in fact agree to step back and leave the town to its own devices in order to forestall mob violence. The attempts to explain away this citadel isolation of Shinn Corners -- largely that the town has become a mob that threatens any outside authority that attempts to intrude -- is simply not credible. When would this ever occur in such a setting? What police force, what State government, would back down in such a situation? In effect, Dannay and Lee ask us, the readers, to buy into a thinly concocted premise, since that premise is necessary in order for elements of the story to work. But the leap of faith, at least for me, is too great. All I can do is roll my eyes. The premise fails the “semblance of truth” requirement for suspending disbelief. Sadly, this flaw in the mystery spoils the whole endeavor for some, myself included. And it needn’t have. All the plot needed was a better “semblance.” Queen did this well, for example, in The Siamese Twin Mystery, where the setting is necessarily isolated from the rest of the world by a forest fire. That provides enough of a semblance of truth for us to suspend disbelief and proceed with the novel. So, too, in And on the Eighth Day it is not difficult to accept the premise that the town of Quenan is geographically (and historically) isolated from the rest of the world for a reason, again, necessary to the story. Could Queen have provided a better “semblance of truth” in The Glass Village? Well, clearly. Stephen King did so in his miniseries Storm of the Century, in which a town, located on a remote island off of the Maine coast, is isolated from the mainland by a believable storm. And there are models for Glass Village-like seclusion in the real world -- towns located on islands off the coast of England, for example, that are inaccessible for months during winter, or Smith and Tangiers Islands located in our own Chesapeake Bay. Constructing such a locale, and then using it as the setting for The Glass Village could have provided that “semblance of truth” and thereby saved countless rolling eyes. Many, including my friend, Queen scholar and emeritus law professor Francis Nevins, profess to have been able to move past this credibility stumbling block in The Glass Village without grumblings, and have praised the rest of the work as a very superior mystery. And I recognize their point -- the character development and cluing are fine; the narrative otherwise sparkles. But for me, that is still a pretty significant “otherwise.” Some things I can take on faith. But for a mystery to work, I need a reasoned basis to stay on board the ship. Ahh well. After all of these years I have finally completed The Glass Village. Eyes well exercised from rolling, it is time to move on. As I guess is evident, for most of my life I have been an Ellery Queen fan. 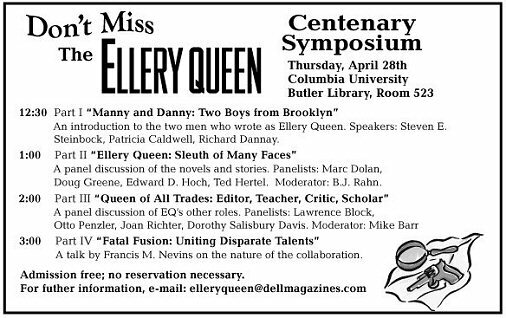 I read Queen as a kid, and I trace my published mystery writing back to the Ellery Queen Centennial Symposium that EQMM hosted back in 2005. 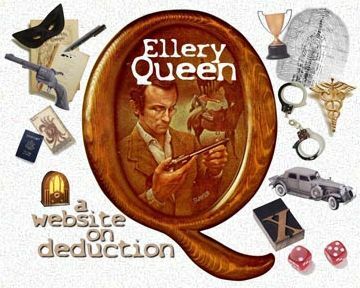 I attended that symposium in New York City, along with Kurt Sercu, the proprietor of the preeminent Ellery Queen website -- Ellery Queen: A Website on Deduction, and we both left the symposium with the inspiration that eventually led to our Ellery Queen pastiche The Book Case (EQMM, May 2007). While that weekend was the first time Kurt and I had met in person, we had already known each other for years on-line. It was sometime around 2000 that I first stumbled onto Kurt’s internet homage to Queen, and while I became a regular visitor there our email friendship did not really blossom until two years later when, in a thread on the Ellery Queen sub-forum of the Golden Age Detectives website discussing Queen’s And on the Eighth Day, I posted a pastiche epilogue to the book, offering a “further explanation” to Ellery’s solution that attempted to tie up some of the novel’s loose ends. Those loose ends had always troubled me -- there are a lot of hidden clues in And on the Eighth Day that are never explicitly addressed in the pages of the book. After reading my conjectured epilogue, Kurt, who oversees the Queen sub forum, responded with some thoughts and we were off and running. Hidden patterns in Ellery Queen mysteries, I now know, are rampant. One of the best examples of this is the recurrence of references to Easter, a topic discussed at some length in a previous post. Other examples involve the use of dates that are either of personal importance to Frederic Dannay and Manfred B. Lee, who were Queen, or that are of historical interest. Those, too, have been explored in a previous article. Were these multiple references to the name “Andrews,” some of which, after all, are only associated with minor characters, enough to be classified as similar intentional patterns? As Kurt pointed out to me in our correspondence, French Queen scholar Remi Schulz certainly thinks so. Remi Schulz has devoted years, and much effort, to the study of the Queen mysteries, plumbing analytical depths that most of us would never even suspect existed. One underlying thesis set forth in Remi’s website is that the Ellery Queen novels are replete with hidden patterns that are premised on recurring dichotomies. Thus, Remi argues, a series of later Queen novels involve murderers with the recurring initials M and W, that switch back and forth chronologically novel to novel. M and W, Remi points out, are a short-hand for one of life’s great dichotomies: men and women. Similarly, there are references to 1 and 2, and to “A” and “B” that recur in Queen mysteries. As an example, Remi focuses on the 1936 Queen mystery Halfway House, and points out that it involves two families, Angell and Borden, and secret relationships between Andrea Borden and Bill Angell (AB and BA). These are but examples -- Remi points out many other hidden dichotomies in the mysteries Ellery solves. So what do these “either or” patterns have to do with the also recurring references to the name “Andrews?” Well, first of all, Remi’s view is that you can’t view the references to that name standing alone -- you have to look at all of this in the context of those other clues and patterns. Remi argues that the term most commonly used for the recurring literary dichotomy device that he identifies as prevalent in Queen mysteries (A’s and B’s, 1’s and 2’s) is a chiasm, a word that derives from the Greek letter 'Chi', or 'X.' An X, he points out, is also the basic design of the Saint Andrew cross -- a cross, in effect, laid on its side. Thus, it is argued that frequent use of number and letter pairs, and frequent use of the name “Andrews,” are employed to show that chiasms -- and underlying dichotomies -- are a hidden theme in the Ellery Queen mysteries. And what, in turn, could this pattern of dichotomies be intended to convey to the reader? Well, the most obvious chiasm “secret” behind the works of Ellery Queen is, of course, the fact that there are two aspects to Ellery as author -- Frederic Dannay and Manfred B. Lee. Up to here I find Remi’s theories a bit far fetched, although still plausible. But from this juncture on Remi and I tend to part ways, forming, perhaps, our own chiasm. I share Remi’s view that a plausible explanation of the recurring use of chiasms, as well as the references to “Andrews” as a clue to point the reader to the Cross of St. Andrews, is that all of this evidences (in a manner subliminal to the actual clues needed to solve each individual mystery story) the fact that two authors, Dannay and Lee, were Ellery Queen. The duality of Queen, as author, is also evidenced by the fact that both Dannay and Lee followed the consistent practice of using a “Q” with two, rather than one, line through it whenever autographing a book as Ellery Queen. But it seems to me that it is ultimately self-defeating to argue that these hidden references were somehow meant to demean Lee’s role. After all, but for the few later Queen mysteries written by ghostwriters when Manfred Lee battled writer’s block, it was Lee who penned the actual drafts of the Ellery Queen mysteries from Dannay’s outlines. And even in the ghostwritten works it is acknowledged that Lee edited the final drafts. Can we really expect that Lee would be a party to a scheme intended to demean his own role? In fact, there is at least some evidence that Lee could be a bit of a prankster himself, and was not above sneaking references into the Queen mysteries behind Dannay’s back. The best example of this is one particular late Queen novel (that’s all I’m going to say!) in which the name of the murderer appears only twice -- on the opening and closing pages. When asked about this literary device in a televised interview Dannay reportedly was taken aback, rather obviously surprised by the literary trick. So if that response by Dannay was honest, then the trick was by Lee. A trick that involved a secret cleverness -- a cleverness involving a name. The issue of employing “cleverness” with chosen names also brings us back to both Lee and Dannay -- each of whom chose their own names. Frederic Dannay was born Daniel Nathan, and Manfred Bennington Lee was born Manford Lepofsky. Lee, like his cousin Dannay, was of Russian-Jewish ancestry, but (unlike Dannay) eventually converted to Episcopalian. As Dannay’s notes in The Tragedy of Errors indicate, the cousins referred to each other throughout their lives as “Man” and “Dan,” evocative of both their given names and their chosen names. And what do we know of the name “Andrews?” Well, in the Bible Andrew was the brother of Peter, and was himself a disciple. Legend has it that Andrew preached in Russia, in the Black Sea area of the Ukraine, and that his remains were eventually carried to Scotland, where he became the patron saint of the country and inspired that cross of St. Andrew, which graces the Scottish flag. Lee and Andrew, therefore, had a shared background, in a sense: roots that involved Jewish Russia, and relocation to an English speaking locale. Each was born Jewish; each died Christian. So there is a credible basis to hypothesize that Lee could have personally identified with Andrew. Could the recurring usage of Andrews, and names closely related to Andrews, constituted Lee’s “signature” to the Queen mysteries? Are any of the foregoing similarities enough to deduce anything? The question still remains: What does Manfred Lee, as a name, have to do with Andrews? Well, perhaps this: The name “Andrew,” “Andrea” in Greek, is translated as “manly.” Or, phonetically, “Man Lee.” In other words, the joke here, once again, may have been on Dan! If all goes according to schedule, the day before this piece posts we will have flown back to Washington, D.C. from the Caribbean, where we will have spent two days in St. Maarten and then one week aboard Sagitta, a tall ship run by some long time friends of ours at Island Windjammers. So, while I am not one to plan far ahead with my SleuthSayers articles foresight is nevertheless called for here. I’m also not usually inclined to “re-gift” past columns, but I am going to make an exception there, also. 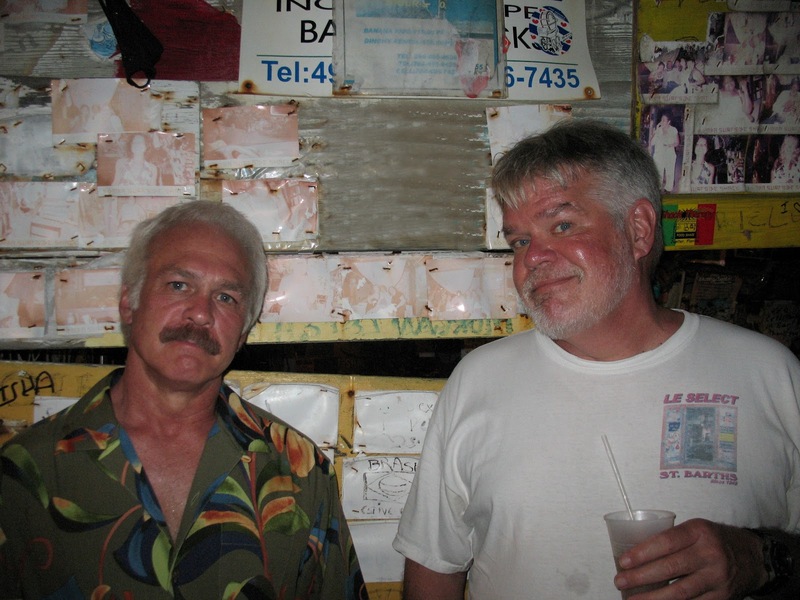 Today, January 15, is the day after my younger brother Graham’s 60th birthday. Attaining that age can be a rather shocking experience (although we should continue to remind ourselves that these “big” years are dictated only by the number of fingers we have on two hands.) In wishing Graham a happy 60th I thought I would resurrect an article I did for Criminal Briefs celebrating, among other things, the birthday of Manfred B. Lee, one half of the team that gave us Ellery Queen. As my friend Mike Nevins (who’s new retrospective on Lee and Dannay, Ellery Queen: The Art of Detection, will be the subject of a column here in a couple weeks) has often observed, Lee can easily become the forgotten member of the Ellery Queen team because he had the unfortunate luck to die early. This year [i.e., 2009 when the article was written], as in many previous years, over the holiday season I re-read Ellery Queen’s The Finishing Stroke. As those of you who have read the novel already know, while The Finishing Stroke was written in 1957, the narrative is presented in three books and spans three different periods. The story principally takes place in “Book Two,” over the Christmas and New Year’s holiday in 1929, but it begins with “Book One,” set in 1905, and ends with “Book Three,” set in 1957. The three books comprising the story therefore span much of the lives of Manfred B. Lee and Frederic Dannay, who created Ellery Queen. Like many Queen novels, The Finishing Stroke is best read on many levels. There are clues that have to do with the mystery at hand, but there are also clues that have to do with other things altogether. Expanding on this premise, it is a good rule of thumb in a Queen novel for the reader never to let a referenced date slide by without pausing to ponder whether the date has a hidden significance. A good example of this appears in the early pages of Book One of The Finishing Stroke, where we learn that the father of a central character died 104 years ago on this very date – January 11, 1905. While an idle reader might brush past this, there is a significance to the date – on January 11, 1905, Manfred B. Lee, one half of the Ellery Queen writing team, was born. The other half of the Queen partnership, Frederic Dannay, was also born in 1905, but in the month of October. 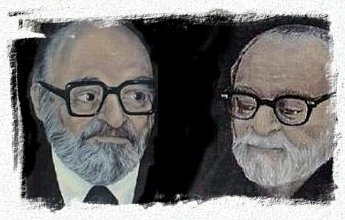 While Dannay remains, perhaps, the better known of the pair, it is Lee, the writer half of the collaboration, who I celebrate today, on what would have been his 104th birthday. Although Queen returned with a final series of books in the 1960s, it is common knowledge that The Finishing Stroke, the thirtieth Queen tome, originally was intended by Lee and Dannay to be the final Ellery Queen mystery. As such, it is a particularly interesting work, which can be read as a culmination of the series, at least as of 1957. The book spans the life of Ellery as well as his creators, and is, in many respects, a retrospective of Ellery Queen both as detective and as writer. As noted, The Finishing Stroke opens in 1905, the year that Lee and Dannay were born, but its narrative focuses on the year in which the first Queen novel, The Roman Hat Mystery was published. However this writing is hardly early Queen. Rather, The Finishing Stroke evidences a tight approach honed over many years, and in fact pokes fun at the early somewhat foppish Ellery and at the early more pompous Queen narrative style. This evidences a good deal of self awareness and self-deprecation on the part of both Lee and Dannay. While The Roman Hat Mystery may have opened the series with a flourish by winning a prize, it is the earliest of the Queen novels, and as such it simply can’t hold a candle to The Finishing Stroke and other late Queen works. It has been said that an author must either move forward or backward – staying the course is not an option. Ellery Queen’s novels got better and better as the series progressed. In order to understand and appreciate the evolution of Ellery Queen’s writing, a little bit of detective work is required of us. We know the basics of how the Queen collaboration worked and evolved. We know, for example, that Dannay, in many respects, was the more public face of the Ellery Queen partnership. He performed the editorial tasks at Ellery Queen Mystery Magazine and, we are told, more readily assumed the role of public persona. But while Dannay crafted the intricate outlines for the Ellery Queen novels and stories, we also know that it was Manfred B. Lee who in fact provided the written words, who crafted the Queen novels and stories, and whose writing skills continued to evolve over the decades. 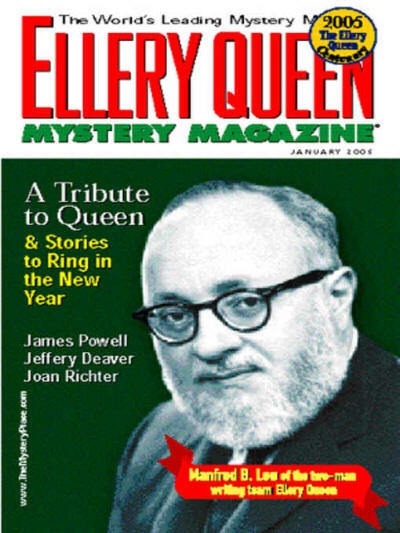 Mike Nevins observed at the Ellery Queen Centenary hosted by EQMM in 2005 that Dannay’s more outgoing nature – together with the unfortunate fact that Lee died early, in 1971, while Dannay lived on until 1982 – may have lessened the world’s perception of Lee’s importance to the partnership. But the simple fact remains that when Lee, who began his life on this date in 1905, died of a heart attack on the dressing room floor of his Roxbury, Connecticut home on April 3, 1971, Queen also died. After Lee’s death, there would be no more words. 1. Read everything you can lay your hands on. 2. Write what you know. 4. Don’t bother with writing courses. You learn to write by writing. Lee’s writing, by his own admission, continued to evolve and mature. Rand writes that in his father’s view, the Queen novel Halfway House “marked the transition from his and [Dannay’s] youthful excesses to their first hint of writing maturity.” Rand also notes that his father, with some embarrassment, tried to dissuade his then-young son from reading the early Queen works, remarking that they were not all that good. This, again, is reflective of the fact that Ellery Queen’s writing never stood still – it always evolved. As a Queen fan, it is for me the second half of the Queen library – the books following the aptly-named Halfway House – that are the gems of the series. The writing is spare, the plotting is ingenious, and the cluing is scrupulously fair. Despite this, what is obvious to the fans of the series is that the cousins needed each other, and that but for the collaboration, however contentious, there could have been no Ellery Queen. Tellingly, when Frederic Dannay’s papers were exhibited at Columbia University’s Butler Library in 2005 to mark the Queen centenary, they contained a legal agreement, signed by Dannay and Lee, committing each of the cousins, on threat of damages, never to leave the partnership. Amazingly, through all their bickering, the Ellery Queen collaboration not only hit its stride early, it also continued to produce and improve for over forty years. Doubtless this success was anchored on the fact that each cousin found in the other that which he himself lacked. Rand writes that “by his own admission”, Lee “could not plot to save his life.” But, as a master of the written word, he excelled. And as already noted, when Lee was gone, so, too, was Queen: without him the writing stopped. This is not to say the process of writing was easy for Lee. We are told that he brooded over the fact that he wrote only mysteries, and (again, according to Rand) hoped that he could “elevate the mystery genre to the ranks of serious literature.” By all reports he battled recurring and, at times prolonged, bouts of writer’s block. But even when some later Queen novels were completed with the help of ghost writers, Lee’s hand is still apparent and integral to the crafting and editing process, and before his untimely death he returned as the writer of the final Queen volumes. It was perhaps because of all of this that The Finishing Stroke was to have been the final Ellery Queen mystery. Rand and others have written of how Lee wished that he could achieve success on his own and in a different genre. While this never happened, the evolution of Lee’s writing throughout the Queen series, including the volumes that eventually followed The Finishing Stroke, instead raised the mystery writing bar within the genre. Rand reminisces that “[i]n Kabbalah, God creates with Word. Words were worlds to my father.” The worlds he created he left to us in the Queen novels. But as I noted at the outset of this piece, Ellery Queen novels are often also about numbers. Numbers, and dates, are used cleverly to set up surprise endings, or to hint at an unsuspecting order that may lie just below the surface of perception. The significance of numbers and dates often extends beyond the plots of the books themselves. In keeping with this, it is interesting to note that from the beginning of The Finishing Stroke until its conclusion 52 years elapse, and from that date in 1957 until today, yet another 52 years have gone by. For my own reasons (which will yet become painfully apparent), over the last few months I watched the days march down toward this particular January 11. Now that the eleventh day of the first month of 2009 has arrived, let us celebrate Manfred B. Lee who was born 104 years ago today and who wrote the Queen novels from Frederic Dannay’s plot outlines. I offer this celebration to Lee, to his writing, and to Ellery Queen on a day that, like the reference to January 11, 1905 in The Finishing Stroke, has, at least for me, a secondary significance that has little to do with the main theme of this essay but much to do with a secondary theme and with the underlying order of things. There are only a finite number of days in the year, and birthdays therefore are often shared events. Today, for example, is my 60th. By way of postscript, and as a testament, once again, to the cyclical nature of time, and to the order in the universe that often defies inclusion within the definition of "random," today, January 15, 2013, it turns out, has become the birthday of our newest niece -- Taytum Grace Connor, born at 8:03 this morning. Welcome! Notwithstanding the foregoing, this is YOUR day!